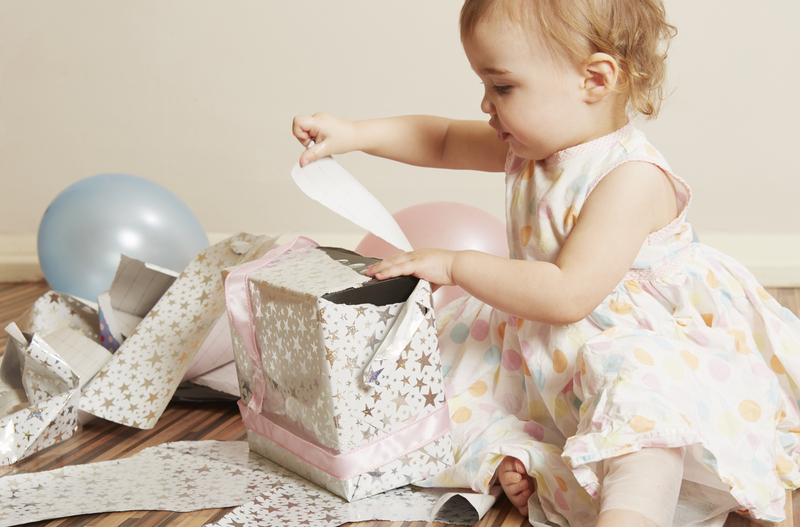 It’s always nice for your child to receive special birthday gifts they need or that they truly want, but that doesn’t give you an excuse to email everyone on your invite list demanding specific presents. 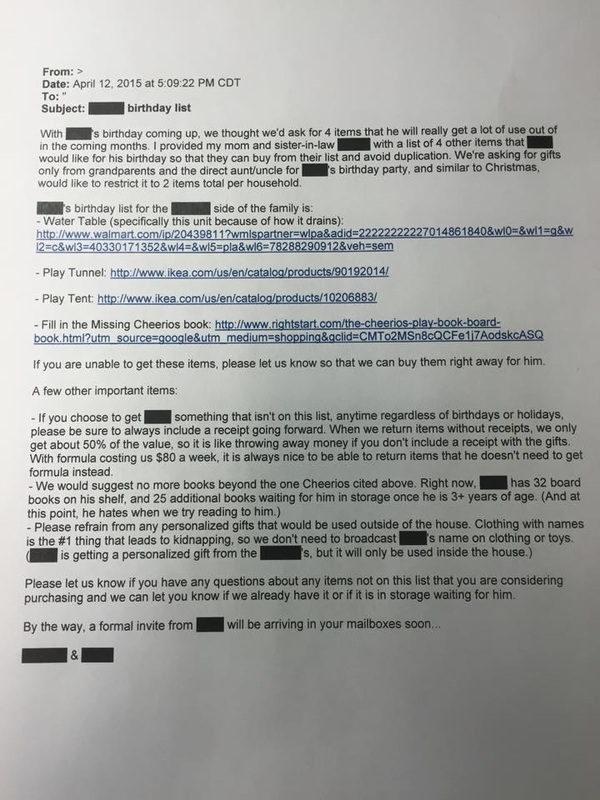 A Reddit user posted this image of a truly appalling email they received about a birthday party for a very young relative — so young that you own condiments older than this person. Emily Post is rolling in her grave. Thank goodness they let people know in closing that a formal invite will be arriving soon, because I’m sure people just cannot wait to attend this party! Heaven forbid they bring something that isn’t this specific Cheerios book, because these parents just aren’t having it! I don’t care if this is the cutest baby on Earth; I still wouldn’t want to attend this party. And don’t people realize by now that as soon as they send an email like this, it will get posted to the internet? This is what the internet was created for! I get that money is tight for many parents and you want your child to receive useful items, but here’s the deal: Your baby is turning 1. You could easily give them an empty cardboard box, and they would be over the moon. Babies don’t care. Your baby will just be excited to see happy faces and to maybe smash a cake and play with people’s cellphones. Your guests, on the other hand, will forever remember that you sent out this demanding email and were amazingly specific about what you wanted your special snowflake to receive. And they probably won’t want to attend next year’s bash.